The Multi Commodity Exchange of India LTd. (MCX) signed a MoU with the Maharashtra government to create a value chain with final market linkages for thousands of cotton farmers in Vidarbha, Maharashtra on Thursday. The agreement for the ‘Cotton Mission’ was signed by MCX MD and CEO Mrugank Paranjape and Additional Chief Secretary-Agriculture and Marketing Bijay Kumar in the presence of Chief Minister Devendra Fadnavis. The MCX will partner with the agriculture department and other agencies to work closely with Farmer Producer Organisations and help them connect to the MCX’s organised market network for building their capabilities. This in long term will support the farmers in their upliftment and contribute to doubling their incomes by 2022, as envisaged by the centre. India swept aside Kenya at the Mumbai Sports Arena to lift the Intercontinental Cup at the Mumbai Sports Arena today and Chhetri, who scored twice, was the hero. By the end of the tournament, Chhetri had played his 100th international match, won India the tournament, and equalled the record of Lionel Messi for the number of international goals. Haryana Government is going to host 2018 World Union of Wholesale Markets (WUWM) Conference at Gurugram in 10-13 October 2018. In this regard, State Government has inked agreement WUWM. The conference will be organized by Haryana State Agricultural Marketing Board. The main aim of the conference is to provide common unified structure of mandis all across the world and take advantages of the improvements in the mandis in the world for Indias domestic requirements. It will share information related to reforms all over world so that India moves towards single unified world market. WUHM is non-profit association that aims to promote international exchange of information on wholesale and retail markets, with a view to improving their construction, organisation and management. Directors at companies will soon be required to share their personal mobile numbers and e-mail ids with the government as part of verifying their credentials, amid continuing efforts to weed out bogus directorships. In a significant move, the corporate affairs ministry has decided to carry out KYC (Know Your Customer) process for all directors, including those who have been disqualified. A new electronic form is set to be introduced specifically for the directors through which all required details have to be submitted to the ministry, according to a communication. Director Identification Number (DIN) is a unique number allotted to individuals who are eligible to have directorship on the boards of registered companies. The Union Ministry of Home Affairs (MHA) has approved institution of Home Minister’s Special Operation Medal. It also has instituted three more Medals – Antarik Suraksha Medal, Asadharan Aashuchan Padak, and Utkrisht & Ati-Utkrisht Seva Medal- that will be awarded anually. HMs Special Operation Medal and Asadharan Aashuchan Padak will be awarded on Independence Day (15th August), Antarik Suraksha Medal and Utkrisht & Ati-Utkrisht Seva Medal will be announced on Republic Day (26th January). 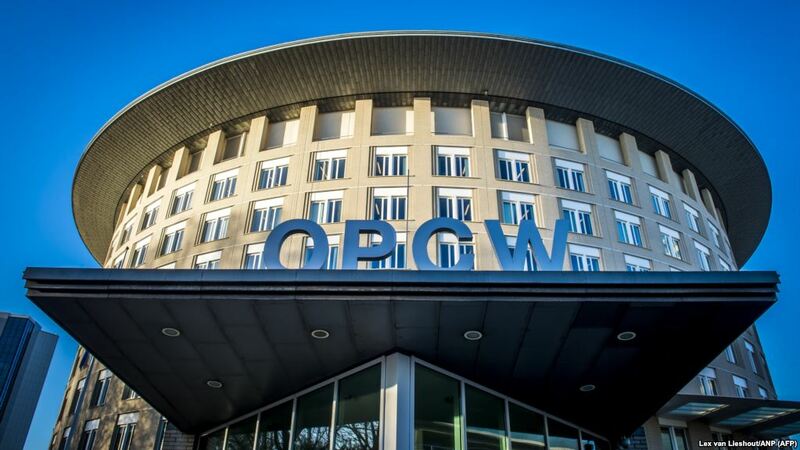 Organisation for the Prohibition of Chemical Weapons (OPCW), the world’s foremost chemical weapons watchdog, has granted itself new powers to help identify those responsible for chemical attacks in Syria. 82 members (exceeding required two-thirds majority) of the OPCW voted in favour of this proposal tabled by United Kingdom at special session of Conference of States Parties in The Hague. 24 countries including Russia, Iran and Syria voted against it. With enhanced powers, OPCW now can put in place arrangements to identify the perpetrators of use of chemical weapons in Syria. OPCW is an intergovernmental organization that promotes, administers and verifies the adherence to the Convention on Prohibition of Development, Production, Stockpiling and Use of Chemical Weapons and on their Destruction (CWC). OPCW was established April 1997 and it is headquartered in Hague, Netherlands. It was awarded Nobel Peace Prize in 2013 for overseeing global endeavour for permanent and verifiable elimination of chemical weapons. India was ranked 35th among 100 countries (countries) in recently released Global Real Estate Transparency Index (GRETI). The index was released by realty consultant JLL. India was ranked 36th in the index during the last bi-annual survey conducted in 2016 and 40th in 201 4. Its real estate market is currently placed in the “semi-transparent” zone. The index scores markets on scale of 1 (being highest possible score) to 5 (lowest score). Depending on their overall performance, markets are assigned to one of five transparency tiers viz. highly transparent, transparent, semi-transparent, low transparency and opaque. The Financial Action Task Force (FATF) at its plenary meeting in Paris, France has officially placed Pakistan on its Grey List of countries involved in providing monetary assistance to terrorism and related causes for failing to curb terror financing on its soil. This will be second time Pakistan has been grey listed by FATF, for first time it was placed in the list for three years from 2012 to 2015. It will squeeze Pakistans economy and make it harder to meet its mounting foreign financing needs, including potential future borrowings from International Monetary Fund (IMF). FATF is an inter‐governmental policy making body that aims to establish international standards for combating money laundering and terrorist financing. It was established in 1989 during the G7 Summit in Paris (France) to combat the growing problem of money laundering. It comprises over 39 member countries including India. FATF Secretariat is housed at headquarters of OECD in Paris, France. 1. What is the aim of cotton mission launched by Maharashtra Government? 2. Which state is going to host World Union of Wholesale Markets (WUWM) Conference 2018? 3. When was the Organisation for the Prohibition of Chemical Weapons (OPCW) established? 4. Where is the headquarters of Organisation for the Prohibition of Chemical Weapons (OPCW)? 5. According to Global Real Estate Transparency Index (GRETI), Indian market is placed in which of the following zone? 6. What is rank achieved by India in Global Real Estate Transparency Index (GRETI)? 8. How many member countries are there in Financial Action Task Force (FATF)?